With the Filipinos' love for games and sports that are dynamic, tactical, and equally accessible, it's no wonder that MLBB has attracted a solid fan base of Filipinos following the country's most popular sport that cuts across generations and socio-economic classes: basketball. 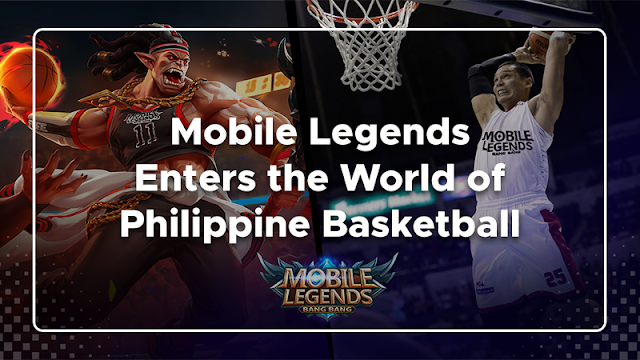 This 2018, MLBB's entrance into the Philippine basketball scene was marked by exciting collaborations with leading Filipino basketball players, basketball-themed skins, limited-edition jersey, and a slew of offline activities. "As a globally-focused game, MLBB has always placed a strong focus on local popular culture and aims to connect with players at a deeper level. Basketball being a popular sport within the Philippines, and among MLBB players, entering the basketball scene was a natural decision for us," shared Cherry Xia, MLBB's Vice President. "Moreover, basketball and MLBB e-sports share a lot of similarities, both of which emphasize the spirit of competition and teamwork. Players of all skill levels can experience the thrill of competition and teamwork." 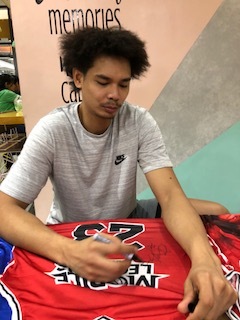 Japeth Aguilar, a PBA favorite and Ginebra's all-star forward, gave a heartfelt endorsement of MLBB and personally signed 20 limited edition MLBB jerseys received by lucky MLBB players. "I'm very happy to be working with MLBB," said Aguilar, "As an MLBB player myself, I find a lot of commonalities and shared values between MLBB and basketball most specially when it comes to forming a bond, and getting better together in the game as a team. Both games are exciting team sports and I'm quite sure Filipino fans feel the same passion towards the unique experience MLBB and basketball brings." During the opening of the 2018 PBA Commissioner's Cup Finals two weeks ago, MLBB continued to strengthen its presence in the national basketball scene with an unexpected "player" making a special appearance at the PBA courts. Surprising viewers tuned in during the PBA live streams was none other than MLBB's epic hero, Balmond, donning a basketball jersey and delivering slam dunks. Ginebra's Scottie Thomson and other PBA players welcomed Balmond's entry, and took their excitement to social media by sharing photos and live streams witnessing Balmond at the PBA finals. No one expected a Mobile Legends pahlawan would make an appearance at the PBA, not even the MLBB players invited to watch. 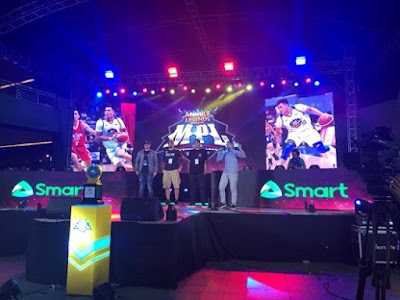 For the Mobile Legends Professional League (MPL) finals, Mobile Legends also invited TNT stars from PBA's strongest teams as guests to unveil Balmond's Savage Pointguard skin. Last July 11, 2018, MLBB released official trailers to announce Balmond's skin, which was shared by players of the PBA, UAAP, and NCAA. 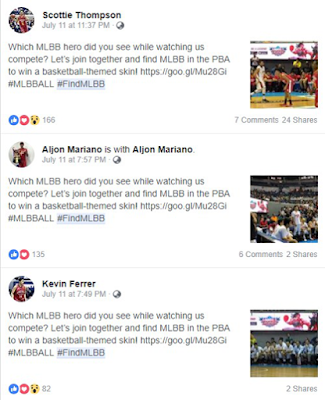 Many basketball stars, such as June Mar Fajardo and Kiefer Ravena, shared their own videos expressing their excitement towards the new skin, generating a lot of buzz around MLBB's Philippine campaign. What can you say about the popularity of Mobile Legends in the Philippines? Let us know your thoughts by leaving a comment below.